Summer is heating up. And it’s not the record temperatures I’m talking about. 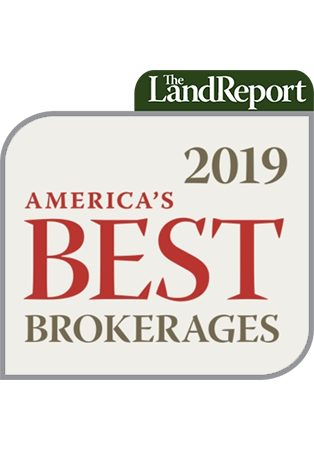 From showings to impending sales and upcoming auctions, brokers from across the country are on the land, making the most of heightened investor interest, solid buying opportunities, and record-low borrowing rates. We touch on many of these topics in our August newsletter, which features timely updates on several key sales involving Nebraska pastureland, Wyoming cattle country, and not one but two Florida equestrian properties. For up to the minute reports on listings, auctions, sales, and breaking news pertaining to land and landowners, be sure to follow us on Facebook, Twitter, and Pinterest. 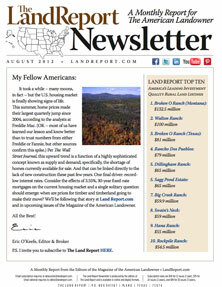 ‹ Landowner Profile: New Jersey’s William S. Haines Jr.